Eep. Definitely a word or two missing from that sentence. 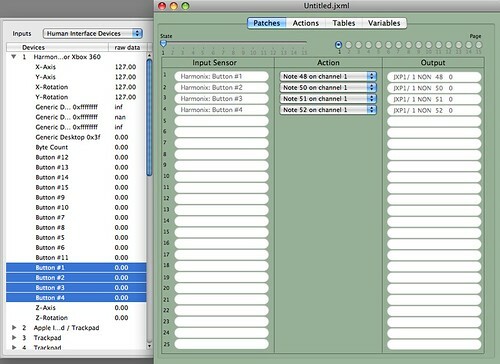 OSCulator is a nice Mac app that will map from Wiimote to both OSC and MIDI. A nice addition to the mix. 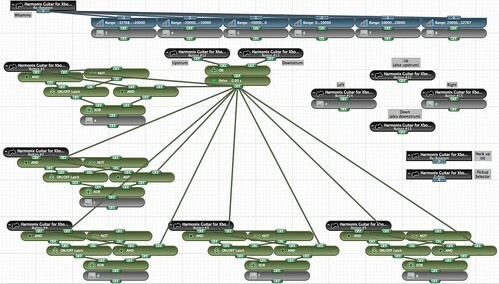 Altogether, a pretty complete and powerful tool to integrate with existing MIDI systems, in both directions. It’s easy enough to use, once you get your head around ControllerMate. Bear in mind it’s just a beta, but it works well for me so far, and I’d pay $15 for ControllerMate even without the MIDI version. 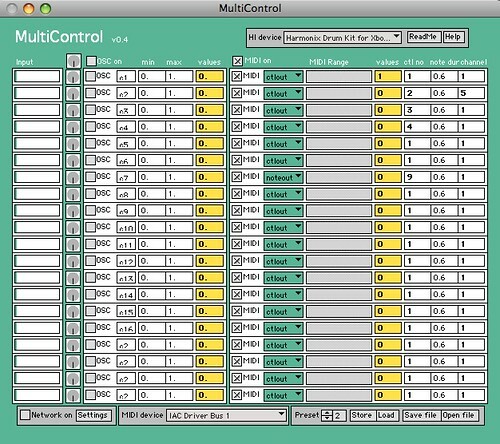 how exactly did you get MultiControl working – i cant seem to get it to work with midi correctly. Any help would be appreciated. To be honest, I didn’t get it working well at all. I think the way MultiControl sends MIDI messages is flawed and it was pretty unusable for me. I had much better luck with ControllerMate though. 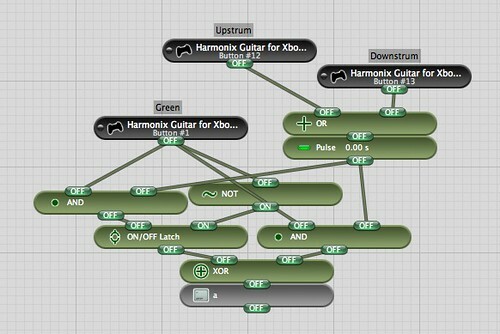 I’ve only recently discovered controllermate and am also enjoying it’s flexibility…. another option that is working well and is lightweight is using osculator with a command line utility called oscjoy – it takes a connected joystick and sends out osc messages for each button and all axes.